A few days ago, Huawei unveiled its new Mate 9 pair and really upped the stakes in the high-end smartphone market. Besides its undoubtedly impressive specs sheet, the Mate 9 also shines with the new and improved EMUI 5. It brings about numerous tweaks and changes, most of which stem directly from user feedback. 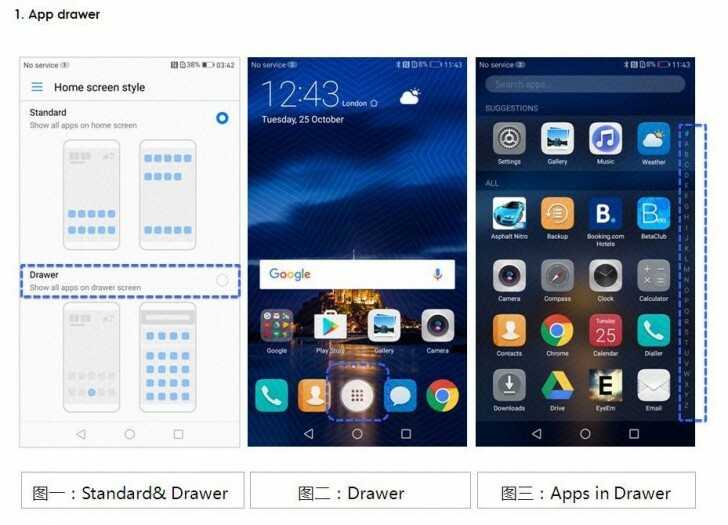 And even though, Huawei specifically outlined the close integration between the OS and its new Kirin 960 chipset, it is good to hear that the OEM plans to bring the ROM to other handsets as well. The Honor 8 will apparently be first in line as the UK branch of the company has already launched an EMUI 5 beta for the handset. You can find more info and download links at the source and there are a few steps you need to go through to actually participate in the beta. You need a FRD-L09 unit, based in the UK, with an active SIM card and a current OS build number of C432B131. The rest of the process is fairly straightforward. You have to download this package, unzip it and install the APK inside. 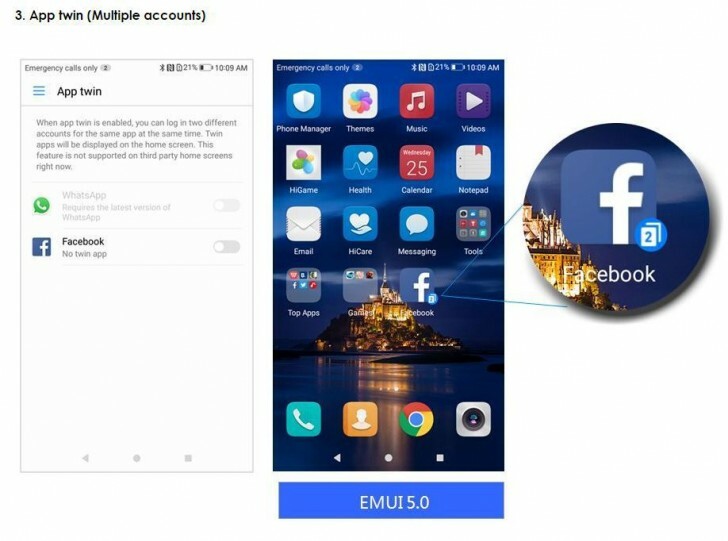 Then use the new BETA app to get EMUI 5. As for some of the highlight features, first there is finally an App drawer. Better yet, Huawei has made it opt-in, so if you prefer the old flat style, you can just toggle in and out of it live, no restarts required. The app drawer itself has a nifty search bar at the top, followed by a row of frequently used apps and then an alphabetical layout of all the rest. The letters on the right-hand side offer quick navigation trough said list. 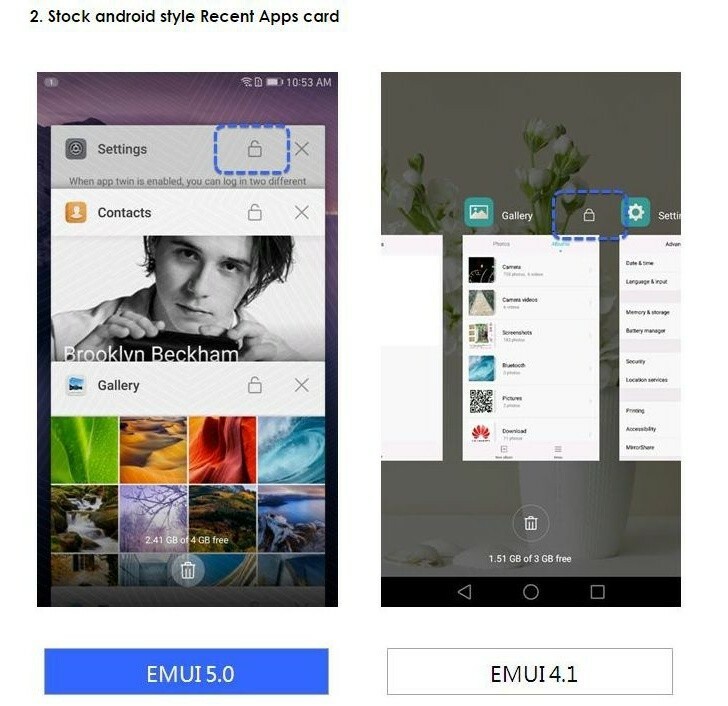 Another neat trick in the new EMUI is App twin. It allows you to log into two accounts on supported apps. 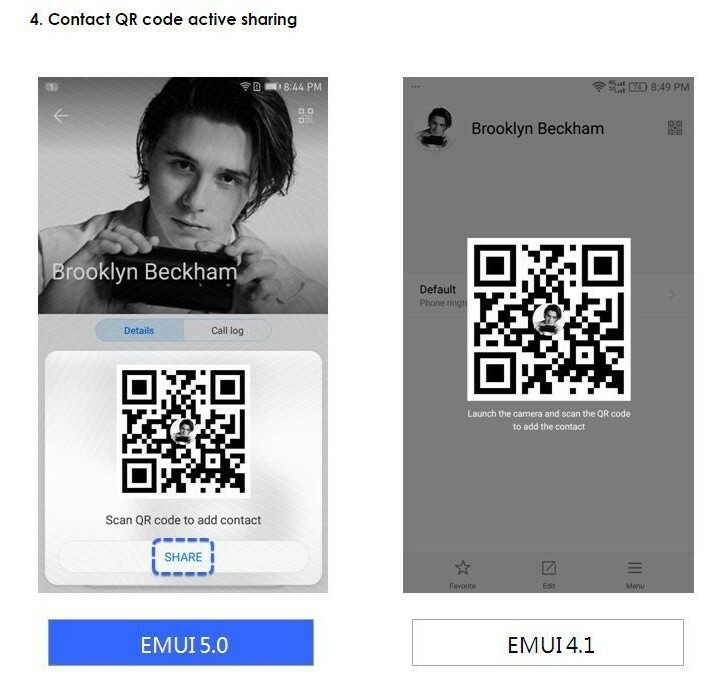 The Huawei Mate 9 offers an additional separate environment, accessed through putting an alternative finger on the scanner. Perhaps it will be part of the Honor 8 ROM as well. Speaking of multiple apps, the task manager has been overhauled as well. It now has larger cards in a vertical layout. You can easily swipe away individual apps or clear all of them with one tap. There is also a convenient feature to lock them in place. Of course, you get all the benefits from Android 7 Nougat, running under the hood as well. Plus, numerous other smaller tweaks and fixes all around the interface. i believe the opposite ! i have long used both miui and flyme and usually the latter copies from the first (although my favourite is flyme). i've always disliked vibe. slow and ugly.